Bee Week 2019 will take place at the Gaylord National Resort and Convention Center in National Harbor, Maryland. Spellers and their families will arrive Sunday, May 26, and the competition will begin on Monday, May 27 with the Preliminaries Test. Rounds of onstage spelling will take place Tuesday, May 28, Wednesday, May 29, and Thursday, May 30. 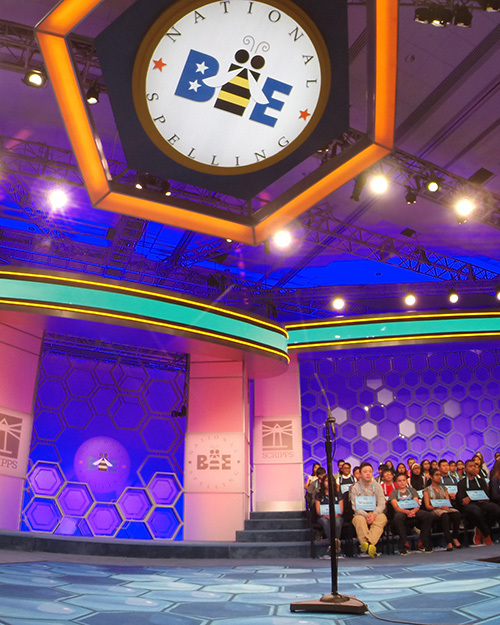 Mark your calendars: At 8:30 p.m. on Thursday, the Primetime Finals will begin, and our 2019 Scripps National Spelling Bee champion will emerge from the initial pool of 11 million school spelling bee participants! Looking for information about your local spelling bee program? We have over 250 local spelling bee sponsors, including newspapers, universities, media companies and even an NFL team! Every sponsor's local area spelling bee program is different. 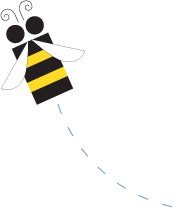 Use the buttons below to read the 2019 Rules for Local Spelling Bees and learn more information about your area's program, from the structure of the local competition to the date of your regional spelling bee. The journey to the national finals is one that requires preparation, dedication and grit. Before our spellers have their moment in the spotlight on our national stage, they compete in their classrooms and communities. There are many small victories along the way to the final championship moment. Last year, the Bee began RSVBee to give even more spelling champions the opportunity to compete in Washington, D.C. If you are the parent of a school or community spelling champion or former national finalist, you are invited to apply for the invitational program for Bee Week 2019.